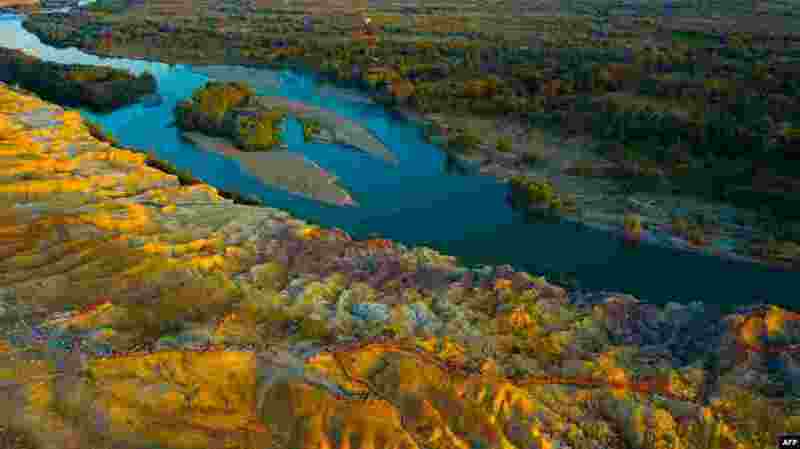 1 This aerial photo taken on August 23, 2018 shows a view of Wucaitan, also known as Rainbow Beach, in Burqin county in China's northwestern Xinjiang region. 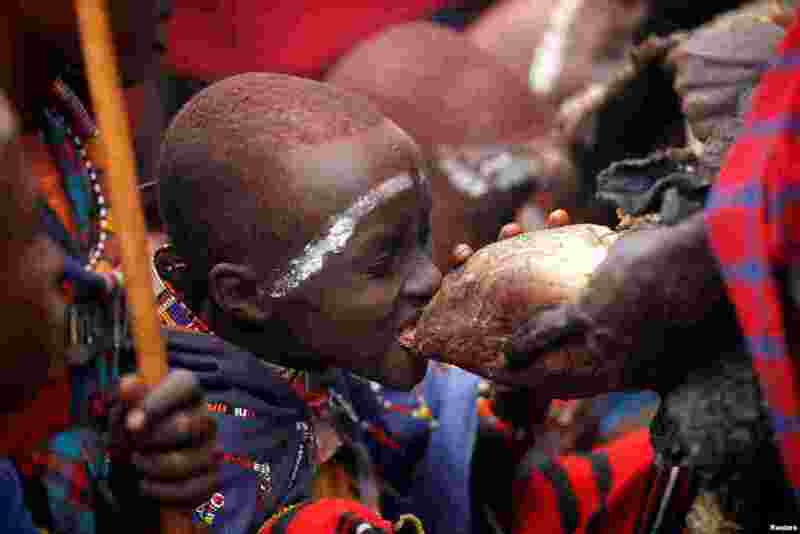 2 A Maasai boy bites a bull's heart during an initiation into an age group ceremony near the town of Bisil, Kajiado county, Kenya, August 23, 2018. 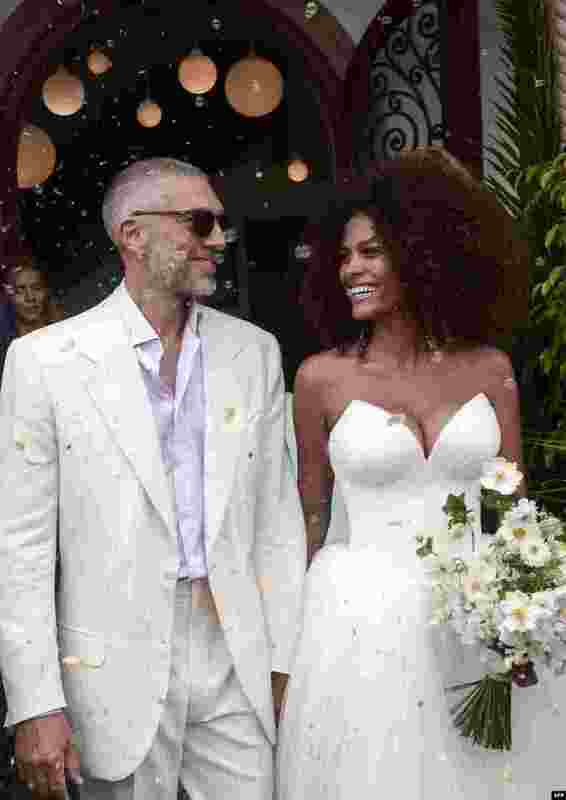 3 French actor Vincent Cassel (L) and French model Tina Kunakey leave after their wedding ceremony at the city hall of Bidart, southwestern France. 4 Palestinians cover themselves with Dead Sea mud, on the northwestern shore of the Dead Sea, in the West Bank, south of Palestinian city of Jericho on August 23, 2018 during the Eid al-Adha holiday.